For many fans, the television show Chopped is a favorite guilty pleasure. What could be better than watching chefs compete to prepare delicious food using a set of sometimes bizarre ingredients in a race against the clock? It has all the makings of an addictive television show – fierce competition, clashing personalities, mounting tension, and at the end, incredible dishes that materialize as the culmination of talent, desperation, and luck. As it turns out, the only thing better than Chopped is hosting such a competition off-screen, and for a good cause. 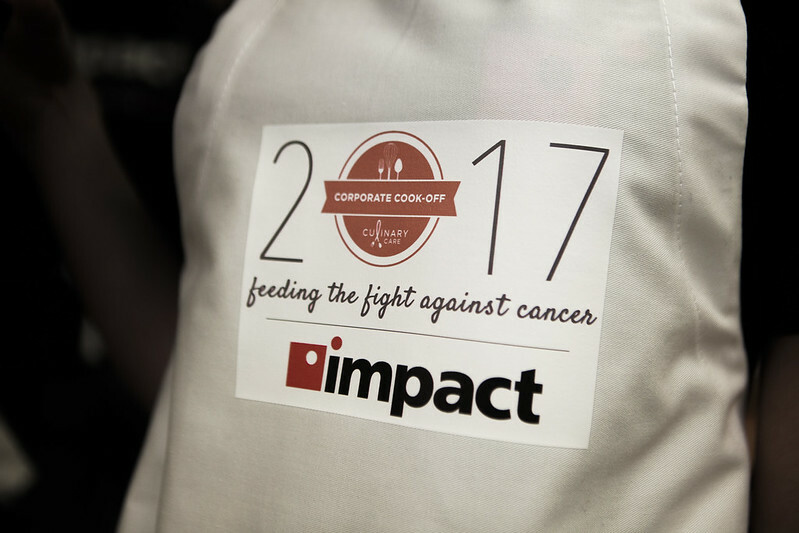 Impact employees were honored to attend the 3rd Annual Corporate Cook-Off for Culinary Care – an organization that provides delicious and substantive meals to cancer patients and their families. The Culinary Care Corporate Cook-Off is a Chopped-style cooking competition that matches teams of employees with renowned Chicago chefs in a race to prepare the best dish. The Cook-Off also serves the anchor event for raising money to support the initiatives of Culinary Care. Culinary Care is an organization in Chicago that prepares delicious, nutritionally-balanced meals to cancer patients and their families and delivers these meals directly to their homes. Courtney White, founder of the organization, saw the need for these meals after watching her father battle aggressive lung cancer. After her father passed, Courtney discovered alarming research linking some cancer deaths as a direct cause of malnutrition. Determined to reverse this statistic, Courtney founded Culinary Care in memory of her father. Since its establishment, Culinary Care has provided thousands of lifesaving meals to cancer patients and their families. As any attendee of the recent 3rd Annual Corporate Cook-Off for Culinary Care can attest, the chance to engage in a good-spirited cooking competition for an even better cause certainly takes the cake.